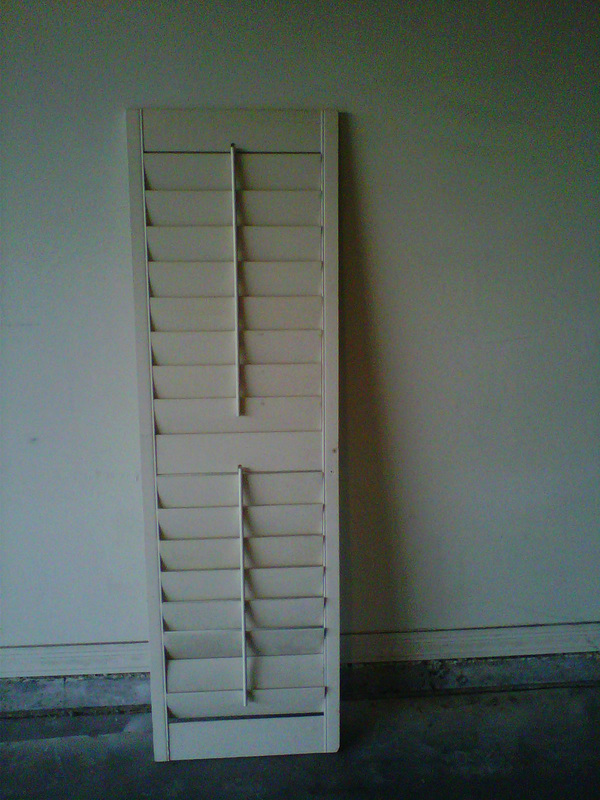 We started with this shutter that I bought from ReStore for $5! My sweet hubby, Craig, helping me make some cuts! 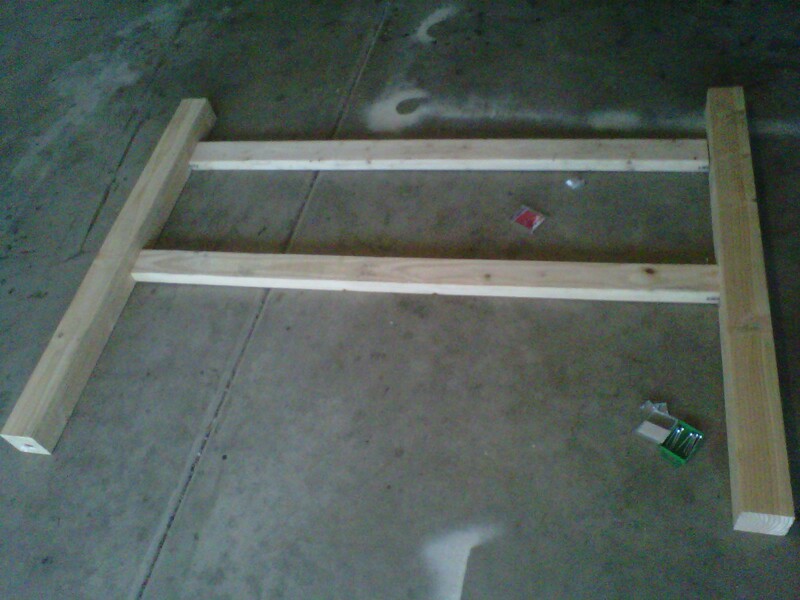 I also have a gorgeous mirror that I will be hanging above the bed soon. Woweeeee! You did an awesome job! I’m always afraid of bright color, but this looks awesome against the white background! 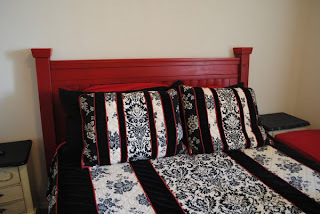 Your bedding is gorgeous too! I can’t believe you made an old shutter into a fantastic headboard! So creative! wow! Hopped over from remodelaholic. I love the way this headboard looks! You did a great job. So creative. 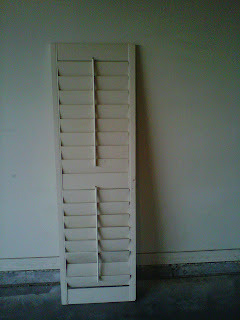 I have an old shutter just hanging out, great idea. 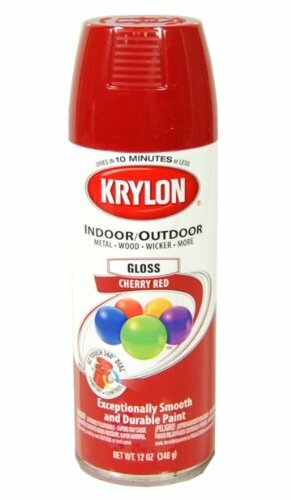 How’d you get such a smooth finish with the spray paint? 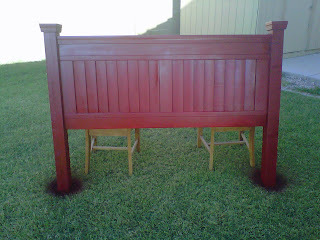 Saw your headboard on Remodelaholic and had to come compliment you on your work. It is stunning! I saw you on Remodelaholic, and that makeover is a purely stunning! 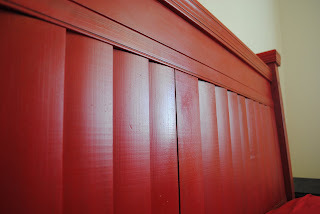 I love this headboard – maybe you would honor with a tutorial on how to make it. Awesome job!!!! I love when people take something and re-invent it not for it’s intended use. Looks fantastic. Great creativity! ohh I LOVE this!! great job!!! IT’s sooo cute!! Btw we have the same bed spread. 🙂 I love it! Love this! Not only is it budget wise, it looks so good and the color with your bed linens is perfect. So very clever and resourceful of you. Fabulous! The “how-to” instructions are terrific!! 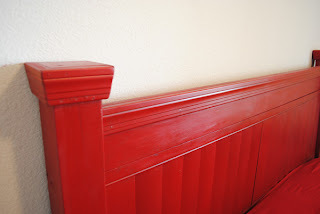 Love the red paint color you chose. You have created a treasure to be enjoyed for many, many years! Thanks for sharing! Wow that is great! Who would have thought. Love it. That is gorgeous! I love the color!! I love your headboard, very cute! The color is great. Please stop over to my blog on Sunday for my Show Off Sunday Party. I would love for you to share this project with my followers. You’ve been featured today at Sweet Peas and Bumblebees for our Fabulous Friday Finds. Your project is amazing!!! fabulous! the frame around it is great! That turned out great! LOVE the color! !